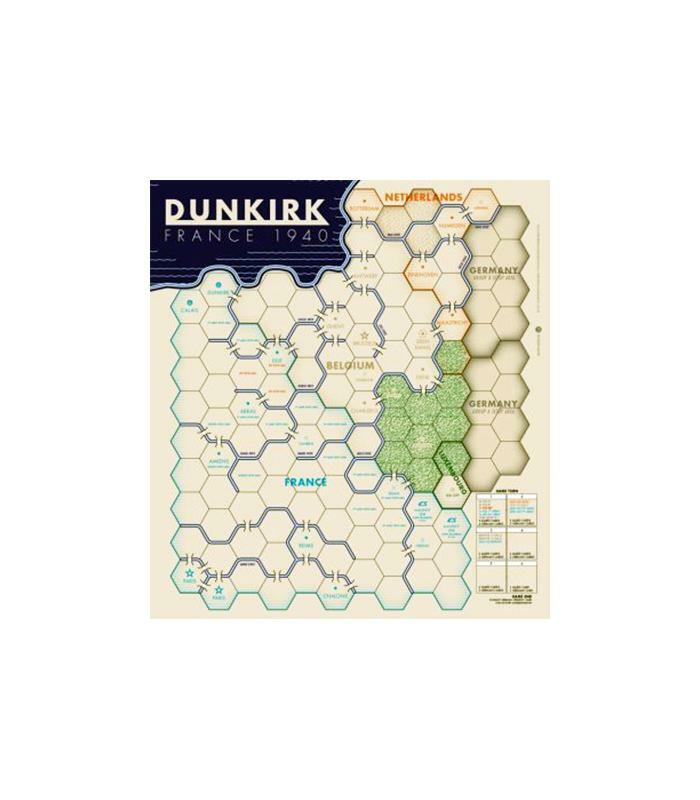 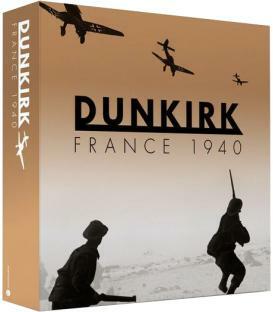 Dunkirk: France 1940 is a block wargame designed by Doug Bryant. 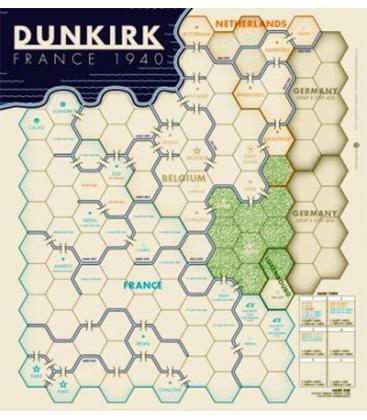 The Game allows you to refight the German Invasion of France and the low Countries in May and June of 1940. Doug has been designing and playtesting the Game for over 2 years and has some innovative concepts in the Game. 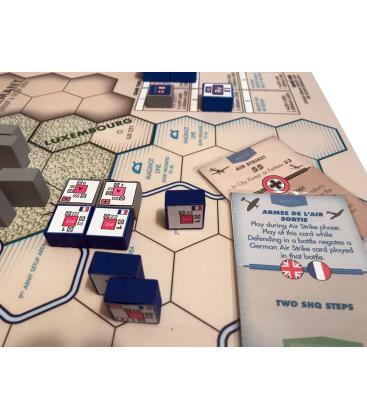 Before the Game begins the German Player picks a Strategy Card that has various Goals for him to attain for victory. 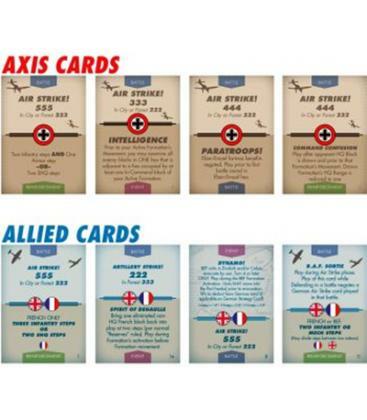 Each Player has a hand of Cards that add to Battle, reinforcements and other elements that occurred or could have occurred during the game. The Game is not card driven, but card enhanced. 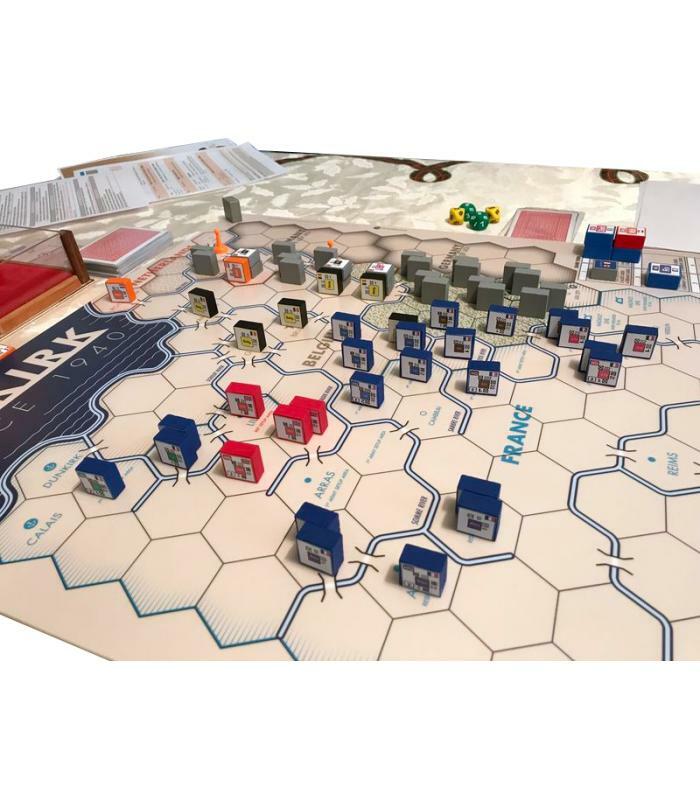 The Game is chit driven. 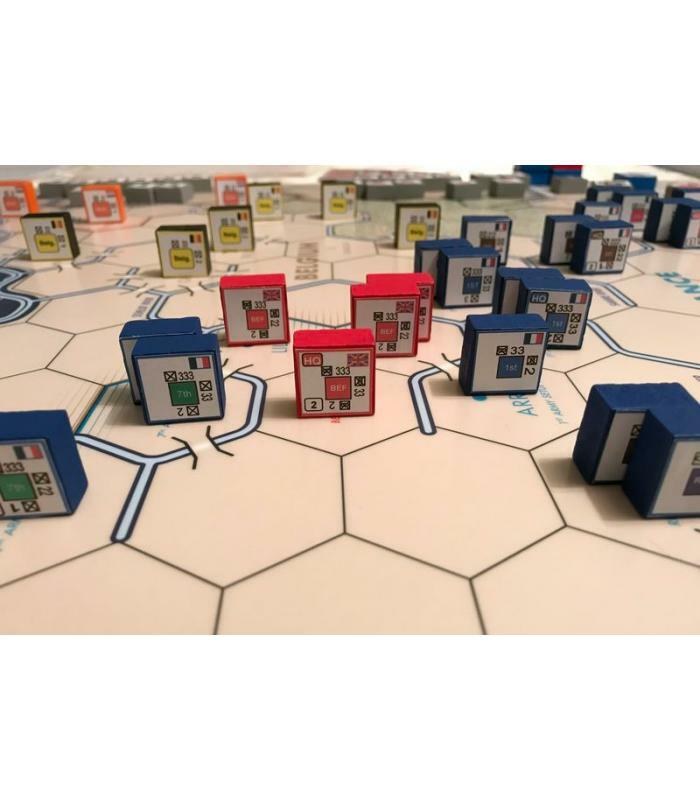 The Allied and German Armies are broken up into their larger commands, chits are placed in a cup and drawn during the game turn. When a chit is drawn, the command for that chit is activated for movement and combat. 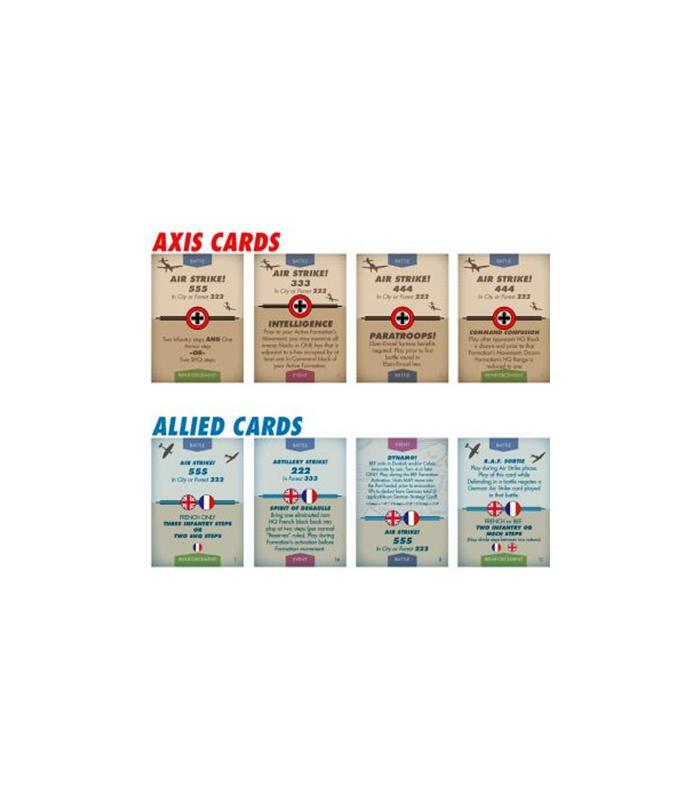 Victory is determined at the end of the game if the Germans can attain the Goals on their Strategy Card, and for the Allies if they can prevent the Germans from reaching their Goals. 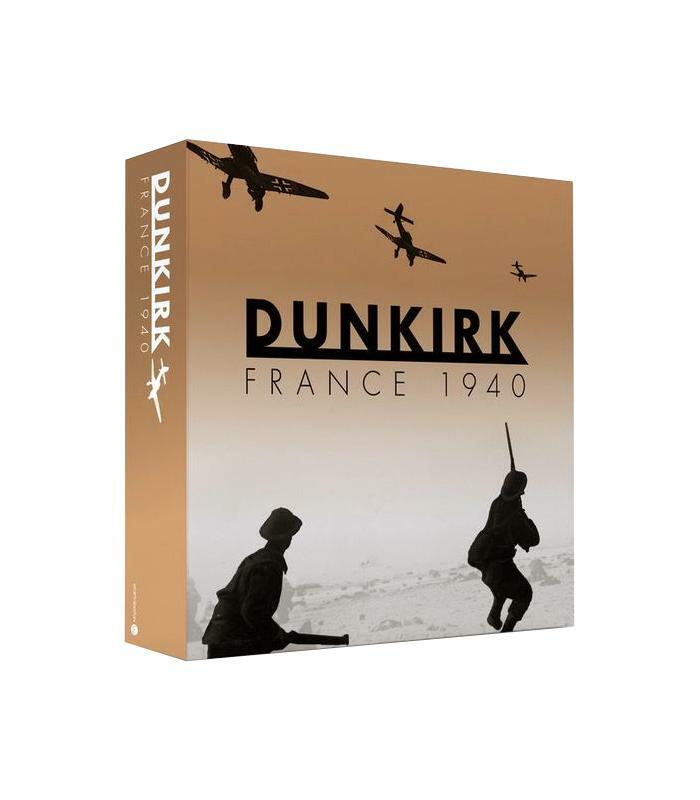 Contents: 1 hard Mounted Game Board, wooden Blocks with labels for German and Allied Armies, 55 Game Cards, 6 German Strategy Cards (larger than standard Game Cards), Rules and Dice.